Massachusetts Senior Action Council (MSAC) is a statewide, grassroots, senior-led organization that empowers its members to use their own voices to address key public policy and community issues that affect their health and well-being. In April 1981, 27 people, including several union retirees, from five cities came together to unite their voices and change their communities for the better. 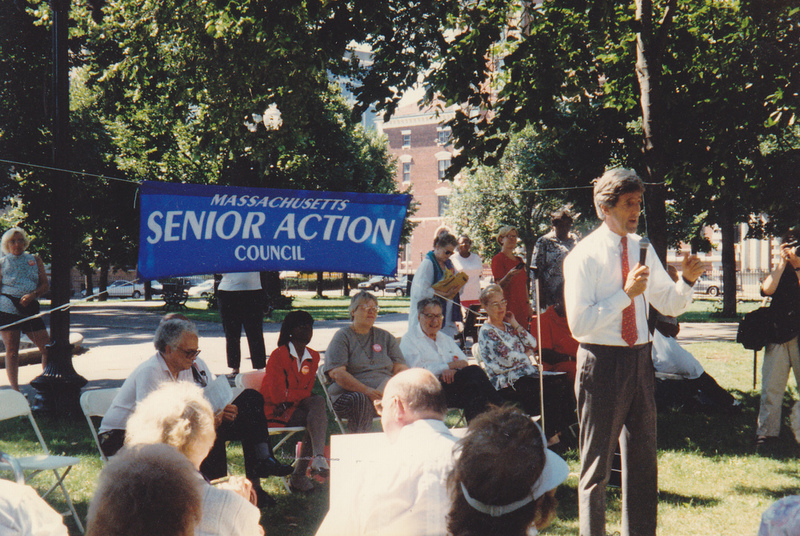 So they launched the Massachusetts Senior Action Council (MSAC). Their initial victories included the return of local bus routes, the establishment of medical and shopping transportation services, the institution of the 10-cent MBTA fare for elderly and handicapped riders, and improved maintenance at local subsidized housing complexes. Local officials were overwhelmed by the emergence of a well organized, articulate, and tenacious group of lower-income older adults who were focused on pressing local issues. Mass. Senior Action members make the critical difference in dialogue with policymakers and the press, at both the local and state level, and with federal policymakers as well. From its humble inception, Mass. 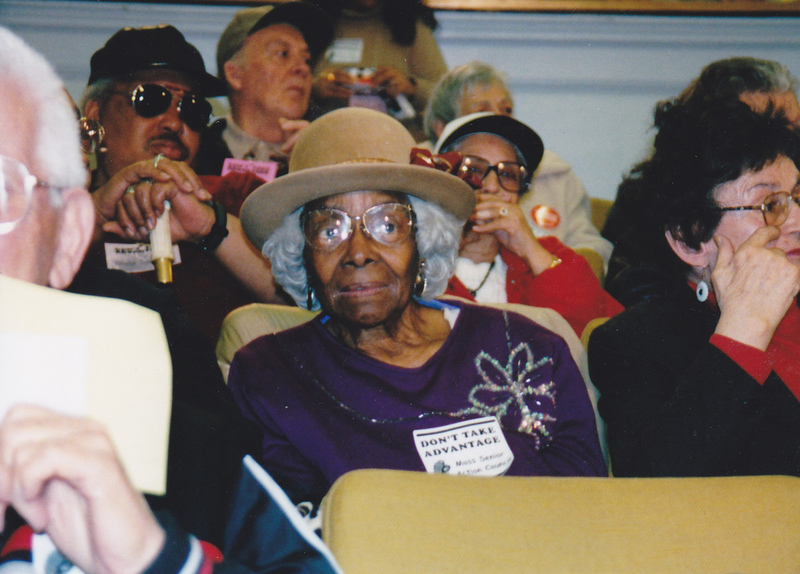 Senior Action has set the standard for successful grassroots, multiracial organizing of low-income senior citizens. As MSAC's base has grown over the years, thousands of seniors across the Commonwealth have participated in public meetings, rallies, government hearings, and direct actions. Today, MSAC has over 1,100 members, 30 affiliated groups, and six active chapters located in Boston, Bristol County, Cambridge/Somerville, Greater Springfield, Metro North, and North Shore communities. Now in its fourth decade of organizing, Mass. Senior Action is much more than a seniors’ club. It is an effective, grassroots activist group, led by seniors fighting for social justice. It is the acknowledged “go-to” organization in Massachusetts for developing intergenerational social change strategies to safeguard and strengthen the systems that all community members need to rely on for economic and health security. The political, social, and economic landscape for seniors and their families would look very different without the tireless work of MSAC members over the last 38 years.